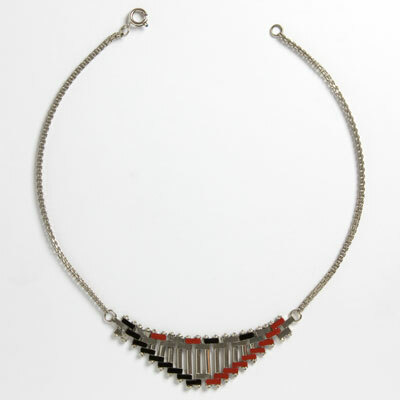 This wonderful selection of Jakob Bengel jewelry includes necklaces, bracelets, and brooches. This German maker, whose Machine Age designs are so coveted today, first opened a watch chain and metal wares factory in Idar-Oberstein in 1873. 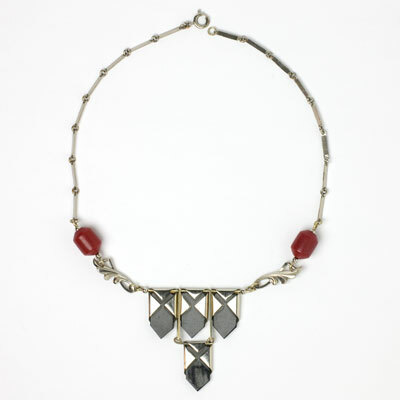 Greatly influenced by the Bauhaus School, the company changed to the production of costume jewelry in the 1920s. 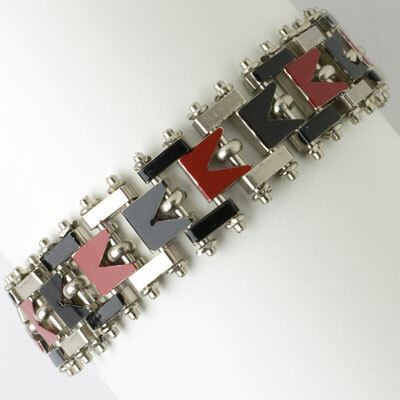 Designers fashioned stainless steel, chrome, nickel, glass, and Galalith into geometric shapes. 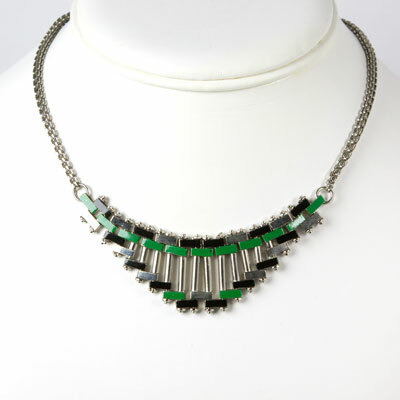 By the 1930s, their distinctive Art Deco pieces were shipped all over the world. Production ceased at the start of World War II. 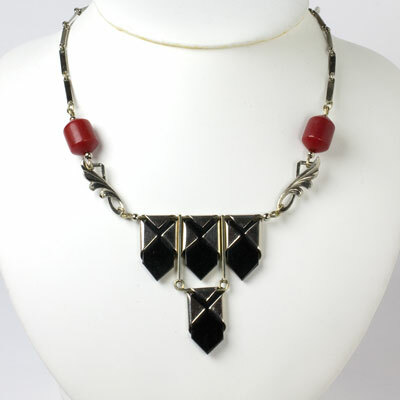 The company remained unknown until the late 1990s largely because their pieces were unsigned. Read more about Jakob Bengel. 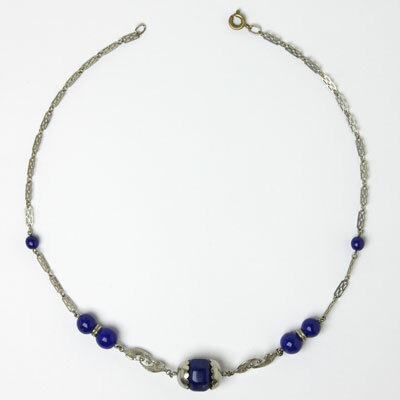 Lapis glass beads separated by decorative chrome links and a center Galalith(?) 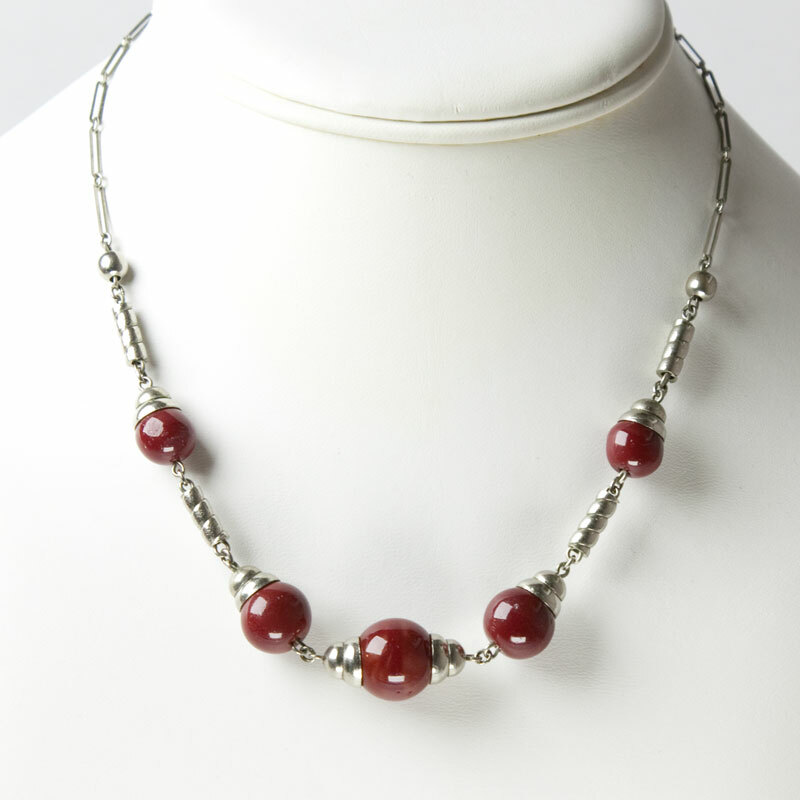 bead with chrome end caps form this German Machine Age necklace. 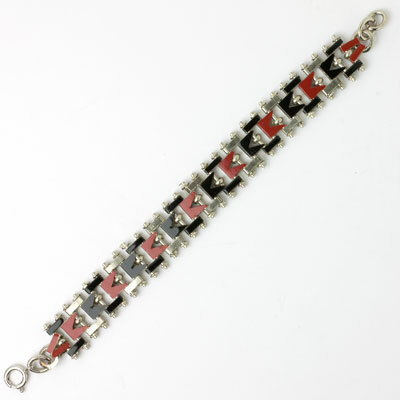 The same piece in other colors has been attributed to Bengel by a British expert. (This maker's pieces were never signed.) 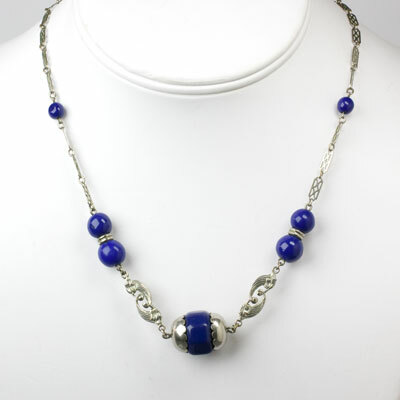 This necklace closes with a spring-ring clasp, which may be a replacement (it is brass in color). The center bead has a minor flaw that probably occurred during manufacture. 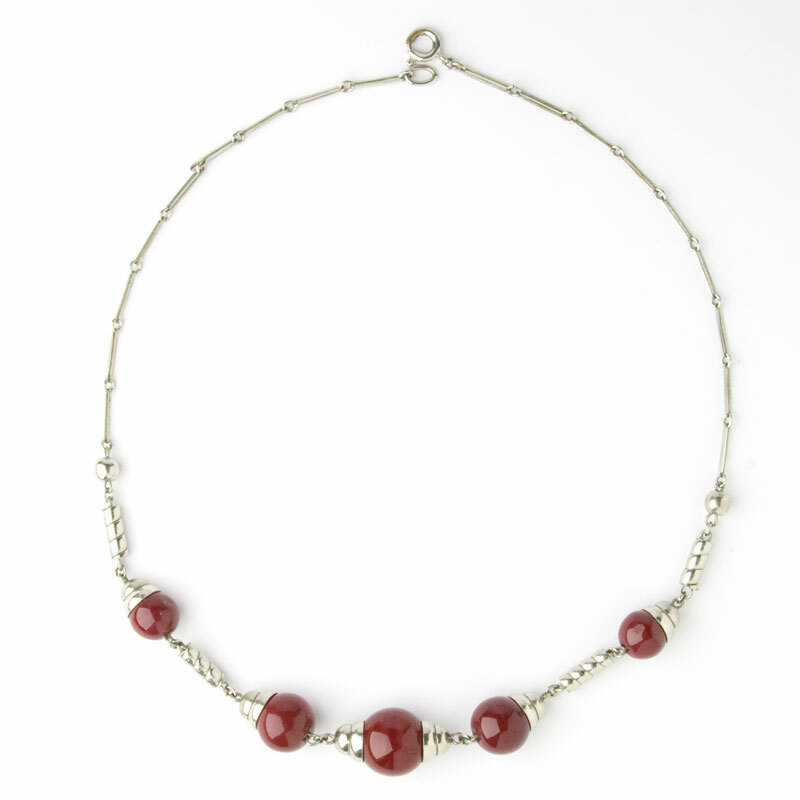 This small imperfection does not detract from the beauty or wearability of this necklace. 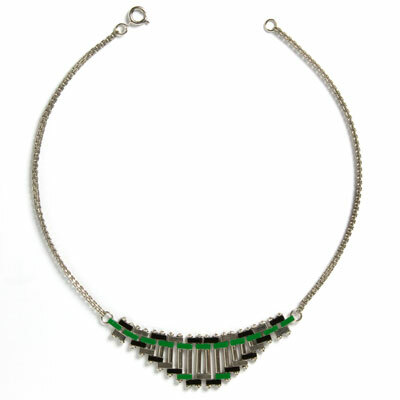 Scroll down to see earrings and bracelets that coordinate with this piece. 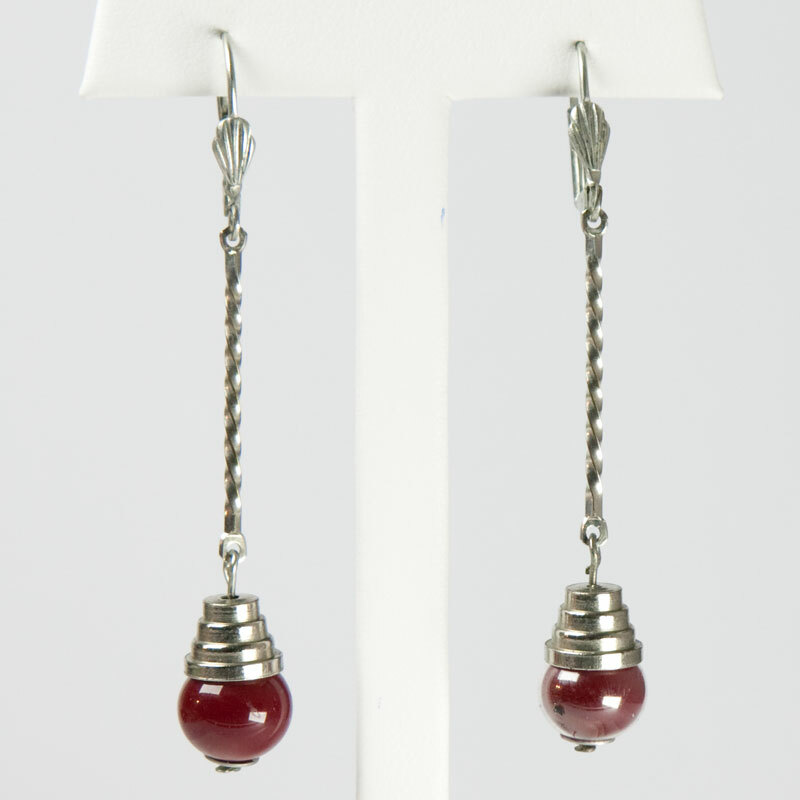 These Art Deco pendant earrings feature deep-red (almost burgundy) glass beads with chrome caps suspended from lines of twisted-chrome. 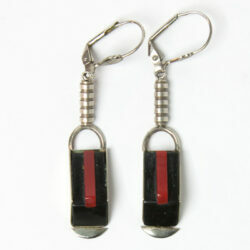 This pair was made by Jakob Bengel in a Machine Age design. 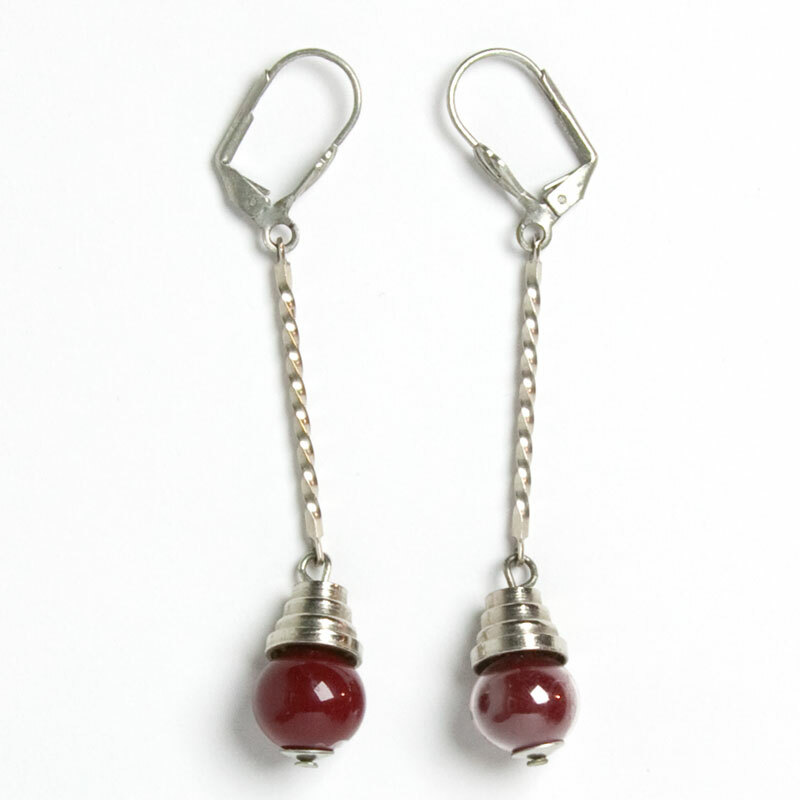 When I bought the earrings from a Bengel expert in the UK, they came with ear wires with lever backs for pierced ears. I do not know their metal content. 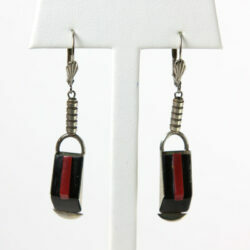 If these earrings are too long for you, a jeweler could substitute a post where the ear wire meets the earring. 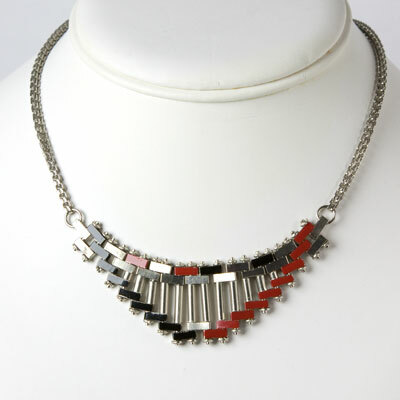 Scroll down to see the matching necklace.